I am going to feature a few popular South African fishes and the local methods of cooking them. Kingklip is an amazing South African fish. As it is fished by long-line method, and caught in deep water, it has a low negative ecological impact. That is, it is targeted, and very few other species are caught as a by catch. Those that are, Hake, are also sustainable. Certainly in Southern African waters. Enough. We can now eat with a good conscience!! 1kg fillets cut into 4 portions. I far prefer to leave the skin on because there is a lot of Kingklip flavor there. 2 finely chopped garlic segments. Tip: If your 1 kilo of fish is in one long fillet like the photo above, then cut it in half lengthwise and then in half crosswise. Just make the tail side a bit longer to compensate for weight. The thick pieces will need to be fried on the three side not just two like the flatter tail portions. beat the egg thoroughly together with the finely chopped garlic. Coat the fillets well and then roll them in the flour and allow them to set for at least 30 minutes. This protects the delicate flesh from drying out and imparts a beautiful garlic flavor. Don't overdo the garlic though or else you will lose the fish flavor. Then in a non stick pan, melt the butter into about half a cup of oil and bring the temperature up until the butter solids are beginning to brown. Drop the fish in and start watching. As soon as it is browned turn it over. Brown all sides and remove. I have finally converted to the Jamie Oliver method of cooking fish skin side down first. 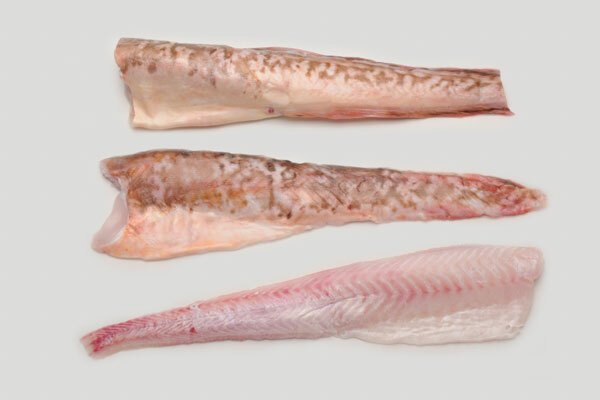 With thick fish like Kingklip, if you do it skin side up first, when you turn it over the skin contracts and pulls the fish apart. I wish Jamie had told us all that that was the reason!!! Grrrr! If you have any doubts about whether the fish is cooked, just gently lift and break a thick portion. It should flake right through and be white inside not pink. I cannot overemphasis how important it is not to overcook any fish. 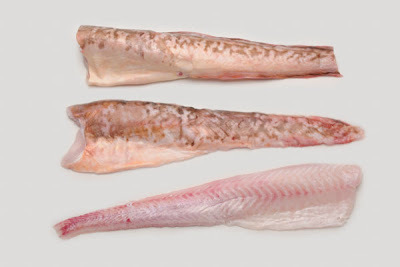 Kingklip can go rubbery and then can dry out very quickly. Be careful.Serve with a squeeze of lemon. Great and thanks for the support! I am following your very interesting blogs too and recommend all foodies to do the same. This is simple and delicious. I love fish especially when it is done like this! Thank you. Yes simple seems to be the way to preserve the essential flavor of the particular fish. Even the garlic in the recipe is very little..just a hint of flavor. This looks delicious Archi! And so simple! Thanks! So often though, we mess around with the natural flavors too much and end up enjoying a medley of spices and herbs! blog posts. In any case I'll be subscribing to your rss feed and I hope you write again soon! and are likely to bolster the main muscle groups. The internal pecs would be the finishing touch, the icing for the cake. powerful core and robust legs. Nice response in return of this issue with solid arguments and explaining all about that. 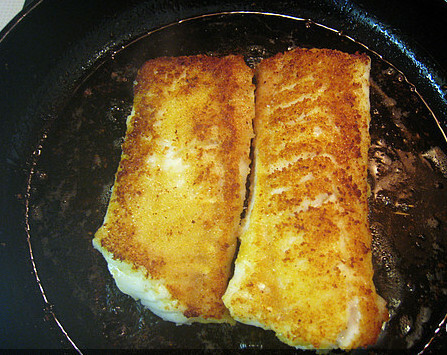 Thanks for finally talking about > "South African Fish: Pan fried garlic Kingklip" < Loved it! i am too happy to share my familiarity here with friends. and do anything about it! It is a terrific Xmas present for the buddy who's a yoga enthusiast. Examples could well be the chest fly, leg extension, and shoulder raise. cost weights, do push-ups, chin-ups and sit-ups. i can suppose you're an expert on this subject. Fine along with your permission let me to clutch your feed to keep updated with coming near near post. Thank you one million and please keep up the gratifying work. the head. The problem is an issue that not enough people are speaking intelligently about. I'm very happy I stumbled across this in my hunt for something regarding this. breaking style in their Bowflex Dumbbells. lot. I hope to present something again and aid others such as you helped me. Sometimes, what's more, it influences one's emotional and mental progress. You'll find 17 forms of fat location probable with this particular a person. What's up, I would like to subscribe for this website to obtain newest updates, so where can i do it please help out. As a outcome of our investigation into these a few solutions we very advocate possibly Bodylastics or maybe the Ripcords resistance bands. However I am going through difficulties with your RSS. I don't understand the reason why I can't join it. Is there anyone else getting the same RSS problems? Anyone that knows the solution can you kindly respond? you continue to care for to stay it wise. going to watch out for brussels. I'll appreciate if you happen to continue this in future. Many folks will likely be benefited out of your writing. Cheers! Hi to every body, it's my first pay a visit of this weblog; this weblog carries awesome and actually good stuff in favor of readers. what you desire to say about this post, in my view its actually awesome for me. really does use a comprehensive guide involved. yet again since I saved as a favorite it. I'm really impressed along with your writing talents and also with the layout on your weblog. Is that this a paid subject matter or did you customize it yourself? Either way keep up the nice high quality writing, it is rare to see a great blog like this one these days..
Take care to heat up adequately every time in advance of your boxing exercises. confusion, super sets, circuit education and high-intensity interval training. article like yours. It's lovely value sufficient for me. In my opinion, if all webmasters and bloggers made just right content material as you did, the net might be much more useful than ever before. You cann't imagine just how a lot time I had spent for this info! Thank you! unique trick. Moreover, The contents are masterwork. you have done a great activity in this topic! Tonton video sabung ayam di Situs Terpercaya Saja Dijamin Pasti Bayar !